Three pick profiles in one pick... ingenious! Patented asymmetrical shape featuring both plain profiles of the Jazz Pick plus a third intermediate profile. 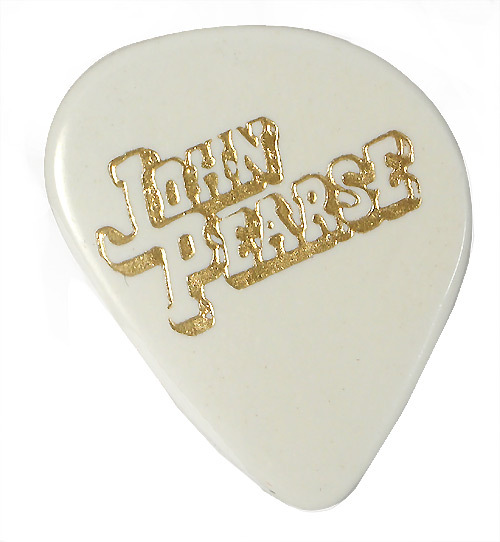 The favorite pick of multi-style studio session players. This pick is one I picked up at Merlefest about ten years ago. My favourite shape, I have not been able to find another until stabling across it here.